Anihan is now accepting applications for its two-year scholarship program for SY 2013-2014 which starts in June. There are eighty (80) scholarship slots available. The scholarship includes National Certificate II Qualifications in Commercial Cooking, Bread and Pastry Production, and Food and Beverage Services. Those who qualify for the program will receive a full-tuition scholarship grant. 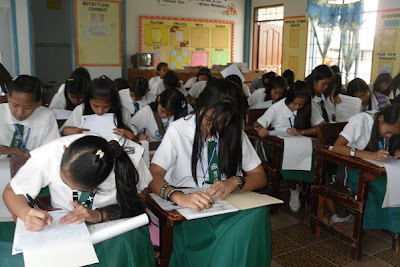 This means that they will be entitled to study in Anihan for two years without having to pay any tuition fee. The students' only expenses will be the miscellaneous fee and their personal expenses. As always, Anihan will provide high-quality training to its new scholars. Anihan also manages the on-the-job-training (OJT) placement of students in different hotels, golf and country clubs, restaurants, bakeshops and other food establishments. After graduation, Anihan assists its scholars in finding good employment. In fact, there are Anihan scholars who are absorbed by their respective OJT venues for employment even before they officially graduate. For more details about the NC II Qualifications covered by the scholarship, please go here. For Admission requirements, please go here. To support an Anihan scholar by purchasing Anihan Goodies, please go here. If you want to find out more ways to collaborate with Anihan's mission of providing high quality education and skills training to financially challenged young women, please go here.